The above phrases compose the text of the book must apparent to the reader, at first glance, or at a distance. But as the pages are made of latex sheets, they may be stretched, one by one, to reveal another word on each page which drastically modifies the original textual significance. Only with human energy and closer investigation may information be discovered and communicated. This work attempts to bring about reflection concerning stereotypes and misinformation, regarding art and public health, although its application is universal. Latex is a substance tied to medical uses-a material protecting humans from each other, ensuring sterility in the operating room and the bedroom. Humans attempt to insulate themselves from the truth. But communication and intervention may take place, without danger and fear, under the proper conditions, with knowledge and love. 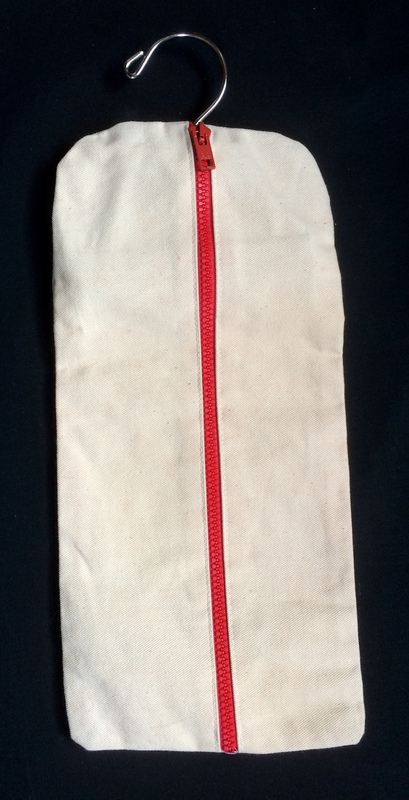 The latex pages are bound at one end with a wooden and metal skirt-hangar and housed in a miniature white canvas garment-bag with a red zipper. 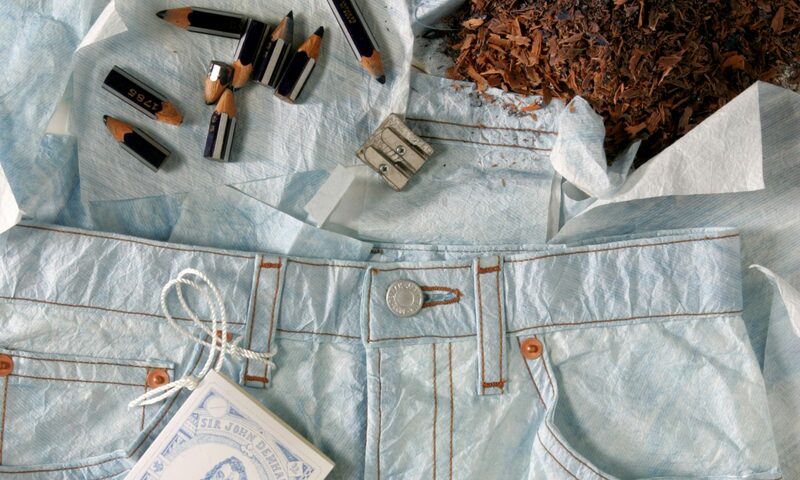 This container symbolizes the things people lay away in the closet-the things people ignore. And people will be ignored as long as we let information lie dormant. 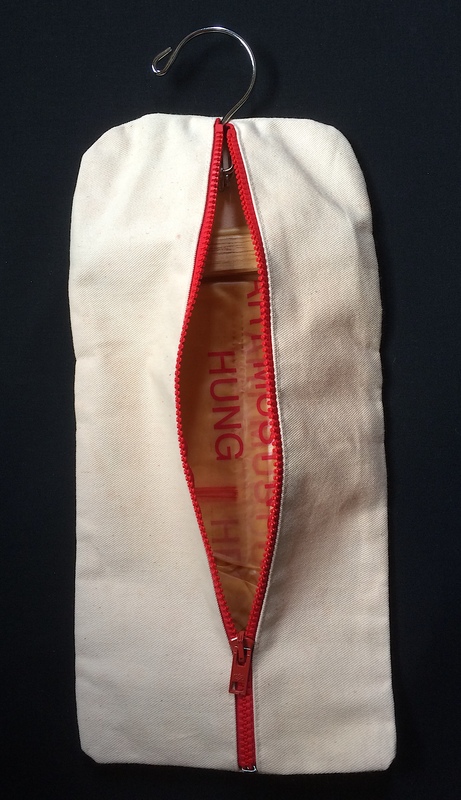 Each portable garment-bag contains a pair of latex gloves to insure that the pages will not be damaged by the oil and impurities of the human hand. We must stretch to obtain the truth for the safety of all. Silkscreened and handwritten on latex.